Being financially secure is a two-pronged process. What most people focus on is gaining wealth, whether through investments or earned income, in order to create a financial security net. However, protecting and preserving that wealth can also be challenging, and it deserves your attention. If you want to take control of your finances or you're interested in setting aside assets for retirement or even as life insurance for loved ones, an asset protection trust can be the perfect tool to help you do just that. Discover more about some of the many ways that an asset protection trust protects your financial security today, a year from now and even decades into the future. One of the biggest drains of accumulated wealth, particularly among investors, is tax. Depending on your assets and your income, you could be subject to enormous rates of taxation at both the state and the federal level. Thankfully, there are ways to bypass many of these taxes without facing any penalties or legal conflicts. An asset protection trust is a financial vehicle that you can fill with the assets of your choosing, whether that is real estate, cash, stocks or even gold. By establishing that the items within the asset protection trust are earmarked for a specific purpose or person other than the individual who created the trust, these assets are no longer subject to taxation. This is doubly true in the case of an offshore asset protection trust, making destinations like Belize an appealing choice for someone eager to preserve their wealth. Unfortunately, those who have amassed a certain level of wealth may find themselves involved in an increased number of legal proceedings. Wealth is appealing to many, and some will go to any means to obtain what you have worked so hard to earn. In a legal situation where either you as an individual or your business is declared bankrupt or fined for any reason, those assets held within the asset protection trust will remain untouched. This can, essentially, be like creating a safety net for the future, and it can be an integral tool for those with concerns about upcoming legal proceedings. In addition, it can be an important resource for those who want to provide for their dependents or loved ones in any situation imaginable. 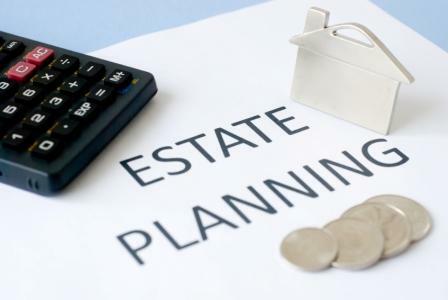 An asset protection trust is one of the most important tools you can have as you begin estate planning. Few people enjoy thinking about this particular part of life, but it is vital that you set aside assets so that your loved ones are never financially insecure. Your asset protection trust can be used to provide for specific events you anticipate in the future like college education for your children or the wedding of a grandchild. The assets contained within could also be earmarked for a specific person, like your spouse, or a specific charitable organization that you hold near and dear to your heart. By placing assets into a secure trust that can't be taxed or withdrawn from in any situation, you can enjoy peace of mind that your loved ones will be taken care of. To preserve your wealth, limit taxation in a legal way and ensure that your family has access to financial security for the future, establish an asset protection trust from an offshore institution like Georgetown Trust in Belize.